Church for the Nations is a family imperfect people of all ages, from many different walks of life, with various backgrounds joined together in an endless pursuit of welcoming heaven into every area of their lives. CFTN is known for its passionate worship, relevant teaching from God’s Word, and focus on the least, the last, and the lost. Through the years, this church has become a refuge for those who are hurting and looking for a genuine encounter with God and His perfect love. Because of this, members get the privilege of witnessing lives being transformed on a daily basis. No matter where you find yourself in life, you are welcome at CFTN; since no one is beyond the reach of God’s love. You are the Church—and CFTN is simply a place where the Church comes together. As a member of a unified body, you are an essential part of the story that God is writing in the world through Church for the Nations. Reach out to all people and nations with the Good News of Jesus; train them up by God’s Word to find and fulfill their purpose; and send them into the world to influence culture. 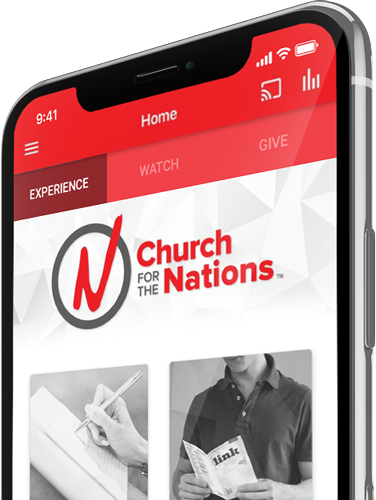 Church for the Nations is one multicultural, multigenerational family of imperfect people awakened by God’s perfect love being sent as transforming agents into the world to influence culture.